Editor: One of our bloggers, PSD, wrote the following in response to a discussion in the comments to the post that 1% of Americans own 90% of our wealth. We thought it was spot-on and decided to make it a post of its own. “Perfectly Legal” by David Cay Johnston and “What’s the Matter With Kansas?” by Thomas Frank – great starting points on what’s f’ed up with our current tax system and why the wealthy have been able to sell a good chunk of the middle class on keeping things in their current atrocious state. I’ll lend either to anyone who’s interested, wouldn’t mind swinging by to pick them up, and promises to either return them or pass them on to someone else. Class warfare isn’t about rich vs. poor, it’s about middle class vs. poor. The people who are truly rich don’t really care one way or another, they have enough for themselves and that’s all that matters. Look at Barron Hilton – he’s ran the hotel chain his family built into the ground but he’s got enough money that he’ll never run out and his kids don’t even have to bother trying to make anything of themselves ever. And if (shudder) they have kids, same deal. It’s the middle class – especially the upper end that grosses something in the low six figures – that this teabagger shiz appeals to. They busted their asses in school (and probably have a mountain of student debt to show for it if they’re second-generation upper middle class and mom and dad made too much for them to get student aid but not enough to pay their way through college), they bust their asses at work, and they pay the biggest share of taxes as a percentage of income because they’re in a high bracket but don’t have enough sophistication to finance complex investment vehicles or stash their funds offshore like the truly wealthy. The mindset of the (marginally) rational teabagger goes something like this: I could be rich. I work hard enough and make enough money to actually get ahead in life. But all these entitlement programs for the poor and the illegal aliens (for some reason they all have this fascination with the idea of an immigrant as a non-contributing freeloader) are pushing my taxes just high enough that I can’t put any money away to start building the kind of reserves that distinguish the upper class from the highest end of the working class. They’re able to convince themselves that since their hard work brought them success, people that haven’t found success simply aren’t trying hard enough. They find it easy to discount outlying factors that might have given them opportunities that other people, even though they might work just as hard, might not have had. Maybe growing up in a suburban neighborhood got them sent to better schools, or having two parents at home meant they got some attention instead of having to learn the more basic skills of fending for oneself instead of studying algebra. Maybe Dad had some pull at the firm and they got hired on as a management trainee instead of a file clerk and climbed the ladder faster because they started a few rungs higher. I’m not even going to touch the issue of race or a myriad of other possibilities. How do you change this perception, and bring a sense of responsibility for your fellow man to these kinds of people? That’s the big question, and if I had an answer I’d be gearing up for my presidential run in 2020, when I’ll be old enough to sign up. I think part of the solution is shifting the nation’s burden of taxation from the middle class to the wealthy elite. An abysmal failure in getting to this end is the reduced tax rate on capital gains. Rich people don’t make money by working, they make money by investing. And if their gains off those investments are taxed at a significantly lower rate than the sweat of the working man, they’ll continue to get ahead, the middle class will continue to fall behind, and they’ll continue to look down at the poor they’re being forced to support instead of the rich who are quietly declining to pay their fair share. Another sticking point with a lot like Joe the Plumber is ‘handouts,’ as if this tax money is going primarily to the poor. Government handouts – is anyone naive enough to believe they primarily benefit the lower class? Unfortunately, that’s apparent. Even welfare isn’t anything close to the free ride the ignorant make it out to be. There have been some excellent articles posted here recently (Lane Tobias’ are coming to mind) illustrating how many eligible recipients are discouraged from taking part in the system. And reforms enacted during the (gasp) Democratic regime of the ’90s have made it even harder to get a little help and have ensured that help doesn’t last. Let’s look at other handouts – how about Social Security and Medicare? Anyone of a certain age can take advantage of these, except people in my generation, because we’re likely to run out of money by passing it all out to you geezers in the crowd before I get old myself (all the more reason to smoke myself into an early grave). While it’s true that the poor rely on these benefits more heavily than the rich in that they have more meager pensions and investments to draw from (if they have any at all, and pensions are another thing going the way of the dodo and unlikely to be significant to anyone under 40 today), I don’t know of anything that precludes the middle or upper classes from taking advantage of this handout once they’re eligible. How about farm subsidies? Something like 80% go to massive farms owned and controlled by corporations. When the teabaggers stir up outrage over farmers being paid to NOT plant crops, they’re really talking about big agribusiness, not Old McDonald the subsistence farmer who sells his crops at the local farmer’s market. What about the bank bailouts? These are a hot topic lately, and one that hits close to home. Basically the government is giving the banks money there to shore up their books and protect against future losses on bad loans they’ve already written. The idea was to jump start lending, but after underwriting standards were so sloppy for so long (the criteria banks used to decide how likely you were to pay back the money you were borrowing), they’re tighter than a drum today and even people who are legitimately qualified to borrow are being turned away – that is, the few legit borrowers who are actually optimistic enough to want to borrow money to make any kind of investment in our country, given its current sorry state. The bailouts are only the beginning – there’s also the federal funds rate, the interest that the Fed charges banks to borrow money. It’s been pretty much zero for a while now, meaning the banks could borrow money almost free and then lend it out to make 100% profit. But they’re not even doing that – they’re buying government bonds, where the government guarantees to pay them a fixed interest rate that’s considerably higher than the Fed rate. So basically the government is giving the banks free money, which they’re then loaning back to the government and collecting a tidy profit for doing so. Who wants to take a gamble on Joe Homeowner when lending your money back to the guy that lent it to you is a guaranteed profit? One more on banks, since the handful of people who’ve read my old rants know this is my forte – FDIC-assisted bank takeovers. To sum up a much longer rant (available at http://obrag.org/?p=6293 and guaranteed to cure insomnia), when the government decides to close down a bank, the FDIC will find a buyer on the sly before announcing the imminent closure, and cut a deal. Most of these deals go something like this: the acquiring bank gets all the branch locations of the failed bank, all their customers, all their customers’ deposits, and all their good loans, for free. On the bad loans, the FDIC agrees to reimburse them for somewhere between 80-95% of any losses they suffer in the first few years after the takeover. This in turn encourages the bank to flush out the losses as quickly as possible. And since the losses are basically all covered by someone else (you and me, because the insurance premiums banks pay the FDIC for coverage are passed on to us in the form of basement-level interest rates – checked what your savings account is paying lately? ), there’s really no motivation not to lose money. For the last few years I ran an operation that disposed of these bad loans, and did it pretty efficiently – figures show that after paying my employees’ salaries and benefits and operation costs, the bank was losing about $700,000 a month less than they would have through traditional means. When my company eventually was taken over and handed to another, what did they do? They laid everyone off, because they saved money in employee costs and could bill the extra losses that we were preventing to the American taxpayer. Now that’s a handout, and it’s not going to the poor, though a lot of my former staff and their families are now navigating the maze to collect the kind of benefits that the teabaggers love to hate on. PSD- good hearing from you. I think your analysis is spot on. I would also add to your list of “handouts” the substantial middle class welfare in the form of tax write offs if you own your own home. Sweet. I also think that the truly wealthy are quite happy to let the upper middle class you described be their lackeys in working for the privileges and the breaks that the wealthy enjoy and want. Corporations and their CEO’s are behind the Tea Party Express, which goes to show that you can never be too greedy or want fewer government regulations. The wealthy do have a stake in what’s going on. The tea party movement strikes me as an essentially white middle class movement of snarling citizens who on some level know that all the neo-con happy talk about surging GDP’s during the last decade belied the true story of dwindling wages and tenuous job security, inflated home values and crushing consumer debt. Something must have been slipped into our drinking water that has caused complete amnesia of the Bush years. How else can you explain these snarling citizens turning so viciously against the safety nets and regulations that not only protect the poor but our national resources and virtually all citizens? The irony is that the middle class is closer to becoming poor than to becoming wealthy. Optimistic, hard working, individualistic, the middle class is of course rooting for the winners, the successful. That also means recoiling in revulsion from the dirty figure picking through a trash can, or defecating against a wall; being asleep when the women in City Heights gather before dawn at bus stops to begin an hour and a half bus ride to a hotel in La Jolla to change sheets and clean bathrooms. Of course the middle class could never become them, is clearly not those people. I’m sure we’ll be reminded on the 27th at the Tea Party rally how true this is. PSD4POTUS in 2020. Where’s the bumper sticker? Hope I’m around to kick off your campaign. Obama and the Democrats have been in favor of cheap credit, which lead to the housing bubble and the rise of consumer debt. They were in favor of the bank bailouts. They are in favor of pork belly politics and ear marks. They are in favor of the current tax system with loopholes for the rich. It is the “Tea Baggers” who are against all of this nonsense. Sure, Ian, Obama is responsible for the housing bubble, yup, you are so historically whacked out! I was going to response in a measured way, but your glaringly inaccurate statements in blaming the Dems for everything, apparently, that I’m not going to take the time. Arguing with you while you are either intentionally misrepresenting everything or simply totally misinformed is not worth it. If you came onto this site and actually tried discussing issues with us would be one thing, but you’re not. You have a right-wing agenda and you’re pushing it on us. And it’s crap. There are a lot of areas of agreement we could discuss but in making statements such as blaming Obama for the housing bubble is so off the mark that it’s clear you’re not even attempting to have a conversation, but you’re on a rant that no one can interrupt you. Progressives don’t like big government and don’t like huge taxes – except when imposed on the very rich. Read the article again. Frank, try reading what I said again. You attribute words to me that are not mine, and then argue against them. I didn’t say that Obama caused the housing bubble. What I said was that he was in favor (along with most Democrats, and Republicans, for that matter) of the cheap credit that lead to the crisis. It is the Libertarians who were against the cheap credit of the Federal Reserve, and the meddling in the housing marked by the GSE’s like Freddie and Fannie. You are 100% wrong that I have a right-wing agenda. Anything but. I didn’t vote for Bush, I was against the wars, I am against the Patriot Act, I was against the formation of the housing bubble, I predicted the current crisis. It is a fact that the Democrats (and Obama) were for a lot of these problems that have lead to our current situation, where there is a lack of balance in wealth distribution. The National Homeownership Strategy began in 1994 when Clinton directed HUD Secretary Henry Cisneros to come up with a plan, and Cisneros convened what HUD called a “historic meeting” of private and public housing-industry organizations in August 1994. Greenspan fueled the fire with cheap credit for years, Bush encouraged a loose regulatory environment particulularly around the repackaging of such weak loans into investment grade products. Point, there is plenty of blame to go around but we are at the brink and need to move forward and fix the problem rather then look backwards and put negative energy into rewriting history to our particular politcal viewpoint. It is ironic, that the bailouts (and the situation that lead to the “need” for bailouts), which the Libertarians were against, and the Democrats (and Republicans) were for, is being used by Democrats as rallying points against the Libertarian “tea bagger” movement. Ian, I see that you are on a libertarian kick – which is different than a GOP kick. The left and libertarians have much in common, and there is even a left-right dichotomy among libertarians. We could spend our time trying to find some common ground – both were against the Iraq war. However, right-wing libertarians want to hearken back to a laissez faire state of capitalism – let the capitalists do what they want without any government controls or interference. We already went through that stage of free-wheeling capitalism – that was the era of the robber barons, of child laborers, on cocaine, of women sweat-shop workers slaving away in fire traps, of 60 hour work weeks, of no safety nets, no social security, no unemployment insurance, no workers comp, no right to unionize … the list goes on. Instead of wishing for those bygone days, let’s move forward and despite my earlier comment this morning, and try to find ground we can both stand on metaphorically speaking. Again you rally against the fringe, as if it were the whole. There are not many people out there who think that children shouldn’t be protected by the law, that sweat shops should be legal, or that unsafe work environments should be accepted. You want to confuse free markets with anarchy. Free markets do not mean “free of the rule of law”. Ian dude, I was just striking out some parameters. I have met libertarians who want NO government controls, that’s all. There are all sorts of different people, with all sorts of different ideas. When you lump a group of people together base upon a few people you have met, you draw false conclusions. I was pointing out the irony that the article uses the bailout as an argument against the “tea baggers”. That’s not an implication of bipartisan guilt as you attempt to backtrack and turn it into by your second post, it’s a smear on the left and a blatant free pass for the right, same with your assertion that Dems were in favor of the Republican-initiated bank bailouts while completely failing to acknowledge that it was indeed the red right that got the ball rolling on that one. The other two points about the tax system and pork spending may be true, but they’re somewhat off topic and outside the scope of the arguments I’m making here. I’ll be glad to consider them once they inevitably come up in a more appropriate article. Thanks for reading, and hope you stick around! How is it a smear on the left if it is true? The vast majority of the left was in favor of the sustained cheap credit that was the main catalyst for the buildup of the bubble that lead to the crisis. Just because the major opposition, the Republicans, were in favor of it also, doesn’t absolve the vast majority of Democrats from owning it. My point is the irony that you want to blame the “tea baggers”, who’s cause most matches that of the Libertarians, for this fact, when they were the ones who warned about the implications of the cheap credit. Ian, there you go again, making totally unsubstantiated assertions: “The vast majority of the left was in favor of the sustained cheap credit…” How do you know? Did you take a poll of the left? Okay, you’re a libertarian and take no credit for the state of the union, because you’ve always been correct on everything. It’s really difficult discussing these issues with you when you make these type of assertions. Obama has the same guys running the Treasury that helped create the problem in the first place. If the continuation of the status quo, isn’t evidence for my point, I don’t know what is. And to say that because I have Libertarian views, that I assume no credit for the state of the union is flippant nonsense. Why do you keep saying things like the Democrats “own” the problem in the same breath that you say the Republicans supported the same things in this instance? I say you’re smearing the left when you paint a bipartisan problem as something where the blame is only held on one side. And the teabaggers weren’t around during the credit bubble to warn anyone of anything. It is a bipartisan problem. And I have made it clear that the Republicans are just as culpable. If this was a Conservative blog, you can be assured that my focus would be on them. My point was, I’ll say it again, that it is ironic that you support the people that created the bailouts and corporate welfare, while you attack the people who were against it, and attempt use the bailouts as ammo against those who were against it. Libertarians, those whom the “teabaggers” economic philosophy most closely mirrors, were around warning of the effects of cheap credit. (responding to the post below me) Actually Ian, I’m nearly as anti-Democrat as I am anti-Republican – I really don’t think a political system containing any fewer than three ruling parties can be effective, as one creates a monopoly and two spend all their time fighting to create a monopoly, whereas if there really were more than two mindsets acknowledged in the public debate the parties would be forced to make compromises. If I had to identify with any philosophy it would probably be libertarian, but these teabagger folks really trend too much toward racist, bigoted, ignorant jerk-offs for Jesus for my taste. 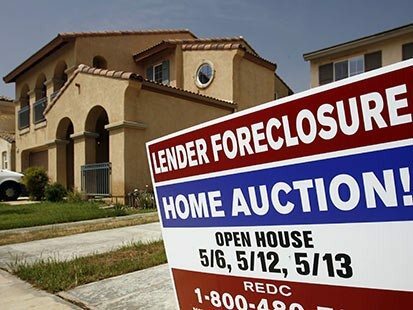 There weren’t any Tea Baggers around protesting at the beginning of this housing bubble back in 2000 when Bush was in office. Bush began the bank bailouts. No one is in favor of the current tax loopholes for the rich, except the president that gave them to them, Bush. There were many Libertarians that were against the formation of the housing bubble in the early 2000’s. Many of us warned against the path the Bush put us on. Just because there wasn’t a populist movement televised on MSNBC, doesn’t mean we didn’t exist. Get your facts straight. Many of the tax loopholes are decades old. Which ones, that you attribute to Bush, are you speaking of? The lower rate for long term capital gains? That is not really a loophole. And FOX has been way more interested in televising and promoting this so-called populist movement than any other network. Best to you. So you want to trade one loophole for another…. I, and most Libertarians and “tea baggers”, don’t think that the government should incentivize or deincentivize any type of spending through tax rates, deductions, or credits. The Democrats are complicit in many of the loopholes that benefit the multi-national corporations. One of the reasons California is doing so badly is that corporate tax rates fell drastically and fees for taking our natural resources like oil out of our ground are non-existent. Let’s place blame where it belongs. On legislators from both parties who let corporations off the hook. I think this video succinctly explians where you are coming from. And what Cat310 are YOU on????? Wow. I’m glad you at the OB Rag decided to make PSD’s comment a posting. I showed it to my husband and it’s been great discussing the points made–especially the capital gains tax issue. Keep up the good work, OB Rag, you are a ray of light for me here in Rep. Dana Rohrabacher land. Short term capital gains are taxed at the same rate as all other income, your rate is your tax bracket. Long term capital gains are taxed at a lower rate to promote saving and long term investing; this incentive reduces market volatility. It benefits anyone with an retirement account. Not just the rich. Fact – If my granddaddy put away $100 million for me years ago when I was born, low capital gains tax on his money benefits me a hell of a lot more than if I was a 9-5 stiff who spent 30 years saving a couple hundred grand. Not to mention retirement accounts have very different tax rules from one another and from investments in general. Let’s not try to compare apples to chihuahuas by saying my Roth IRA benefits as much or in a similar fashion given the current system as the Hiltons’ trust fund. The capital gains rate is the same for the 100 million as it is for the couple 100 grand. The disparity is in the income of those who can take advantage of the 15% capital gains tax rate (given to us in 2003) and the rest of the country. High income families (above $1,000,000) benefit the most from these tax cuts since they own most of the stock and receive most of the income from that stock. By contrast, families making $50,000 only benefit around 4% from the same tax cuts. As for loopholes, I am still waiting for the Levin-McCain sponsored bill to pass that stops corporations from using stock-options to their executives as tax write-offs, costing the American tax payer roughly $10 billion per year. The people who own the most stock, and make the most income from the stock, also pay the most taxes. 15% of $1,000,000 is $150,000, whereas 15% of $50,000 is $7,500. A lower long term capital gains rate, relative to the short term rate decreases market volatility because it creates an incentive to hold onto stock longer. Actually, no. If my money is in a Roth IRA, I pay income (not capital gains) taxes to put the money in, and nothing to take it out when I’m old. If it’s a normal retirement account, I pay no taxes to deposit, but I pay income (not capital gains) taxes to withdraw. If everyone had $100 million and made a living by investing it rather than actually working, I suppose capital gains taxes being lower than income taxes would be fair. But why should my sweat be taxed at a higher rate than your clicking buttons to transfer funds? Yes, the capital gains tax cuts do nothing to help with my tax-free retirement accounts–I think we are in agreement on that. I think Ian is unwilling to acknowledge the subtlety of the argument and that’s if all my income comes from capital gains and dividends, which was historically taxed at a higher rate, and then comes along a flat 15% tax, I’m very happy because my rate is much lower. Which was the whole point about that these tax cuts, they benefited the fewest people with the most amount of money, the ones who push buttons and have teams of tax lawyers. Are there really that many people who make all of their income off of long term capital gains? And if there are, they money that they have was already taxed when it was earned. Also, long term capital gains is not a flat tax. Up until 2008 the rate was 5% for those in the lowest two tax brackets, and now it is 0% for those in the lowest tax brackets. 99% of the population probably doesn’t make a significant portion of their income off capital gains – it’s just that 1% of the population that controls 90% of the country’s wealth that does. And for some reason I don’t think many people making less than $34,000 (the cap of the second-lowest tax rate for 2010) are going to be investing a whole ton of money, so the 0% tax rate on their $0 investment earnings income probably isn’t all that exciting to them. I agree that there is a problem with the disparity between rich and poor in this country. I just don’t think that higher taxes on the rich, and a bigger federal government, is solution. Big government breeds big business, so the best way to keep the distribution of wealth relatively even, is to allow people to keep more of their money. Personally, I don’t think that income should be taxed, only consumption. If that were the case, then your “sweat” wouldn’t be taxed at all, but that is a whole other debate (and pie in the sky). To answer your question “why should my sweat be taxed at a higher rate than your clicking buttons to transfer funds?”, the money that is used for investing which can create income that qualifies for long term capital gains rates has already been taxed at the normal rate. So the “sweat” on that money, has already been taxed. The idea is (and philosophically I don’t really agree with the idea that the government should create incentives for spending, saving and investing through taxation …more pie in the sky…) that the lower tax rate on long term investing creates an incentive for people to invest and save. Only taxing consumption, a la some form of national sales tax, would certainly be an interesting concept, but too easy for the wealthy to avoid – they do all their profit-taking in the U.S. and then go consume elsewhere, as consumption taxes would be considerably lower abroad if they were our government’s only form of income here. But you’re right in that it’s both another topic and, at best, wishful thinking. While I see your point that someone, somewhere along the line, probably paid income taxes at some rate on the nest egg that’s used to generate investment income, I just don’t think it’s very ‘American’ to think that this caveat should forevermore entitle their descendents to pay a smaller portion of their income in taxes than everyone else. How is someone who is living and working in the U.S. going to consume abroad on any substantial level? The logistics of that are not very realistic…. anyway…. Do you have any numbers on how many people there are out there whose only income in long term capital gains? It seems like a small price to pay so that the masses (like us), who are savy enough, are able to invest their savings and receive a favorable tax rate. Unless we’ve got some massive tarriffs on imported goods, it doesn’t seem hard to fathom at all that people would purchase their big-ticket items abroad, and the big taxes would be raked in on the luxury items like the diamond necklaces and designer suits that would be purchased on vacations abroad rather than locally. And it’s not inconcievable that rich people would move elsewhere, making their money in the US but living abroad. There’s a huge concern about the financial center of Europe leaving London because they’ve just imposed a 50% tax on financial industry bonuses as a knee-jerk reaction to the bonus scandals going on here across the pond. The wealthy have no country, they have wealth and so long as they have an opportunity to keep that from others, that objective is where their loyalty lies. Margaret, I’m glad it’s posted too. When I read it the first time I was simultaneously nodding my head in agreement and shaking it in disbelief. I was investigating some incoming links and found this post that had me ranting out loud. grr. It would be interesting to see the numbers for 2008 and 2009. If history is any guide the economic contraction drastically reduces the discrepancy. If you notice on the first chart on the page linked, the last time the percentage of the income of the top 1% was 25%, was in 1929 right before the Great Depression started, and there was a drastic decline after that. One of the differences now, compared to then, is that the government is trying to prop up the failed multi-national corporations that helped create the crisis, and provide the income for the top earners. Johnston’s book that I recommended at the beginning has a lot more in the way of these charts and studies to back up his figures – though they would admittedly by now be a bit dated. And Fleischer redacted his statement in “Taking Heat,” after stepping down as the Bush Administration’s mouthpiece (also found in the library of Dave). As far as your Great Depression comparison, I’d counter that it was followed by the New Deal, which helped correct the massive income imbalance to some extent. The Great Recession, on the other hand, features bailouts for banks and cash for corporations in the hope that they’ll stop destroying the jobs market, rather than pumping more cash directly into the hands of those who need it through public works projects. I think you have the basis for a new posting. Some readers here may be surprised that they are being held to a much different tax rate than their billionaire counterparts. Are you looking for a quick way to tax the wealthy, especially those who have a large asset bases? It’s simple, repeal Proposition 13 and treat all homeowners equal in their property tax liability. That is the quickest and fairest way for the state to generate tax revenue on all those fat cats who own homes, have continued tax breaks through generations of the family by putting the home in trusts, and is the fastest to apply as the mechanisms are already in place to collect the revenue. Prop 13 has been devastating to the states’ economy. It has created a system of neglected and poorly maintained rental properties that bring down community home values, and it has deprived the state of funds needed to maintain the related infrastructure. And, it provided temptation for those who had no financial wherewithal to own such properties in the first place to borrow heavily against them over the past 5 years and is escalating the foreclosure problem. Now that may mean you can’t afford to keep grandma’s house anymore, or if you’re a renter that your rent may go up, but everyone wants to be fair about things up until the point that their ox gets gored than they scream bloody murder. This is an issue of fairness and a matter of local politics that is far greater than capital gains! Cat- I agree completely on the repeal of Prop13, which benefited corporations the most. It also means repealing the 2/3 vote required in the state to pass a budget. It would be a tough vote but it is one that we will have to reckon with someday and the sooner the better. From my real estate involvement in Point Loma I would estimate that 20% of Point Loma would be forced out of their homes and rental properties if Prop 13 were repealed. Couple that with the influx of new homeowners making investments through the foreclosure market and we would finally have a community with income demographics that are substantial enough to actually afford to live in the area. All the rancor about tax breaks, entitlements, and unfair treatment would subside as those individuals would be forced to move elsewhere. Sounds like a plan to me. Why would you want to force people out of homes via taxation? Why should families that pad $13,000 for a house have to pay that much in property taxes? Property values in Point Loma are hugely inflated. They have doubled in 10 years. The only reason they haven’t fallen more, back to a level that is more proportionate to rental rates and incomes, is because they are being propped up by the government programs to keep interest rates low, and the tax credit. When the government credits are gone, and the interest rates go up, home values will fall back in line with the other historical correlations (like income, rental rates). Ian, my comment on the effects of repealing prop 13 is half satirical and half truthful. First you could not instantly abolish prop 13 as it would wreak havoc on people’s lives and most could not afford the jump in taxes. But something clearly needs to change and this is a true disparity. At a minimum, it’s criminal that the prop 13 tax advantage be allowed to exist when the home is in a trust and no longer held by the original owner. Funny thought but if the federal government can take an equity stake in the auto industry and banks why can’t the county take an equity stake in your home for some period, at least they could recoup the taxes at the time of the sale. I just purchased an OB property and my taxes per month are what the previous owners paid per year. While I don’t like seeing my tax bill, to a much greater extent I dislike the thought that someone else was or is paying 1/12 of what I pay. Unfortunately, it doesn’t take much math to figure out that maintaining infrastructure and social service needs with the caps prop 13 established is not viable and is simply unsustainable. Prop 13 was nothing more than your parents selling out your future just like the current federal government is doing today by encumbering the youth with extraordinary amounts of debt. You are wrong about the homes in Point Loma being inflated. Now they are insanely expensive, but the market dictates the sales price and here is a simple fact. Any Point Loma home that is listed at a fair market price sells in a week. If it’s a view lot there are often multiple offers on the properties with substantial cash down payments, like 50% or even full cash offers. The home I purchased had 4 offers in 7 days, the home I tried to buy prior had 7 offers in 2 days. The OB area is the nicest beach community at the lowest price point which also helps move the houses. Like they say, God stopped making coastal property some time ago. Now if a home is overpriced it will sit, and sit, because credit if you need it is tough to come by and the market is pretty much one of savvy buyers. The grunion run of people who thought of homes as no risk investments with ever escalating values is long gone. Actually, if you were to go back and look at home values 10 – 15 years ago, and extrapolate that out based on PRIOR historical rates of appreciation, you would see that the current market prices are right where they would be as if the housing bubble had never happened. Given the current state of affairs there may be some dip near term, but the actual “selling prices” in the 92106 and 92107 zip codes are right about where they should be. I didn’t say “asking price” as many properties come to market and the owners are clearly delusional. Your taxes are 12x as much because you paid 12x as much as they did for the home. How is that unfair? Why should someone’s (or a families) tax bill go up because the government is implementing policies that inflate the housing market? I am not wrong about the home prices in Point Loma (of course time will tell), you are looking at the wrong indicators. Looking at the length of time a property is on the market doesn’t tell you much about the long term prospects of the market. Better, long term, indicators are the ratio of income to home values, and rent to mortgage ratios. Which are still greatly out of historical whack. Lots of these homes are selling because people think we have already hit the bottom, there are government tax credits that create incentives to buy, and there are record low interest rates. When the tax credits are gone, and the impending rising inflation forces interest rates up, there will be huge downward pressure on the value of homes in Point Loma (interest rates are the number one factor that determines how much home someone can buy). We are exiting one of the greatest real estate bubbles in the history of the world, and you think that Point Loma will not be effected? I do have a dog in this fight. My family (ret.) up in Seattle faces losing their paid for and renovated 1905 Craftsman house because they live in a neighborhood (Ballard)that has gotten gentrified. So I want to see a tax structure that is truly progressive. A tax structure that follows the socialist credo: “From each according to their ability, To each according to their WORK!”- now wouldn’t that be a new day? Older Article: Was Racist Incident at UCSD For Real? Or Was It Staged by Black Rapper?